The NR Stadium Foundation was a presence once again in the North Royalton City Christmas parade this past Sunday! The entire boys varsity basketball team were there passing out NRSF literature and game schedules. Also walking and riding with the players were 10 cheerleaders and 2 girls basketball players. The cheerleaders even chanted all the way down Ridge! It was wonderful to see all the student athletes getting involved and we value their support! Thank them if you get a chance. A special "thank you" to NR Athletic Director Bo Kuntz and Kelly Tarnowski for organizing the kids. Serpentini Chevrolet has purchased the naming rights to North Royalton Schools stadium, which is to be renovated before the 2011 fall sports season. The North Royalton Stadium Foundation is five months into an aggressive campaign to privately raise $1.4 million before February allowing for the installation of an all-weather, eight-lane track, a synthetic turf field and a host of site renovations. In a press conference Nov. 19, Superintendent Ed Vittardi shared his enthusiasm for the large donation. Field after former Principal Chuck Gibson who began his district career in 1961 as a teacher. Foundation Chairman Larry Vasil said more than $500,000 has been raised for the “Turf the Field” initiative. Parma Community General Hospital has also signed on as a significant sponsor and project partner, and beginning next school year, the stadium will also be the home field for Holy Name High School. Vasil acknowledged donors contributing $10,000 or more for the project, including Royalton Music Center, Pinzone Financial Services, Tina Stopar Insurance, Jocko’s Bar and Grill, Pete Ragone Family, Rushmore Construction, Richard Pilat Insurance, Southern Hills Youth Football, North Royalton Athletic Boosters and Soccer Club. Renovation plans also call for the replacement of the 1,900-seat home grandstand with a 3,000-seat section housing a large press box and possible viewing box. The concession stand restroom facilities are also slated for replacement. Friday, February 11, 2011 at halftime of the NRHS basketball game. Serpentini of Strongsville Chevy Network Dealer is once again sponsoring an amazing fund raising opportunity for our North Royalton School District. 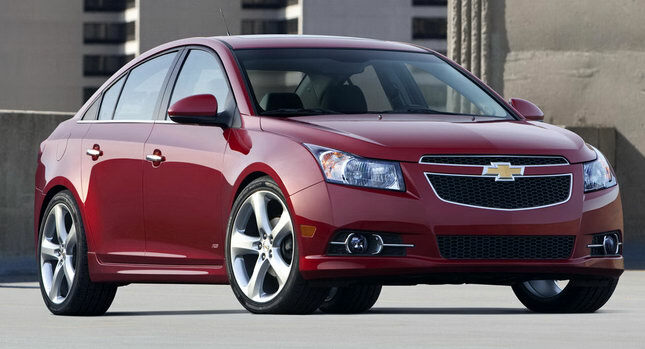 One lucky winner will be the owner of a brand new 2011 Chevy Cruze. Student athletes, band members, choir members, students participating in clubs/groups, PTA, booster organizations, and staff members will be invited to sell $10 raffle tickets to help raise money for their particular group and the newly formed North Royalton Stadium Foundation. Over 250 Stadium Foundation supporters stopped by Jocko's last weekend to eat, drink and party with thoughts of a new stadium on the horizon. The Stadium Foundation thanks the Royalton Community for efforts pit out so far. The spirit for North Royalton High School varsity football is just as strong in the fans and supporters as it is in the players. The North Royalton Stadium Foundation has privately raised $125,000 towards its goal to completely renovate the stadium. At the start of the 2010 football season, visitors were treated to a side boosting $230,000 in reconstruction work, including 800 newly installed ADA compliant bleacher seats and wheelchair ramps, paved walkways, landscaping and a visitors concession stand and portable restroom facilities. Pending received donations, the existing home grandstand is up next in 2011, with plans calling for a 3,000-seat space, a larger press box, possible viewing box and new restroom and concession stand facilities. Perhaps the largest undertaking in the “Turf the Field” initiative is the installation of synthetic turf and an all-weather eight-lane track. “Hopefully, phase two and three will happen at the same time,” said Stadium Foundation Chairman Larry Vasil. The initiative calls for a total of about $1.3 million, but Vasil is confident bids will come in less making it possibly a $1 million project. The new space could welcome more than 300 future school and community events, including the ability to host regional tournaments. To help raise funds, Outback Steakhouse in Parma hosted a $20 steak dinner Sept. 18 with ticket sales going directly to “Turf the Field.” The fundraiser raised $4,000, Vasil said.